Las Vegas is home to many of the most coveted conventions year-round. Industries and businesses flock to our city from all over the world to witness and experience the latest in consumer electronic achievements or the coming trends of fashion that will soon hit a retailer near you (just to name a few). The importance of these events are never in question but what about your transportation arrangements when you arrive here in Las Vegas? Even experienced convention goers will tell you that relying on conventional transportation like the city bus, or a taxi-cab is an experience you do not want to take back home with you to tell your co-workers. Efficiency and reliability are the most crucial aspects to your visit. Getting lost, having reservations that do not pan out, and/or being late are not part of your plans and they never should be. MW Travel Vegas can provide you with a private sedan for just yourself or your fellow colleagues. 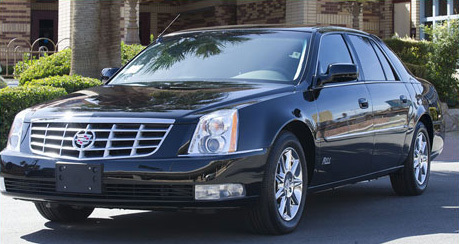 They seat up to three passengers fresh from the airport to your hotel of choice or straight to your convention. We can even help arrange your reservations anywhere in the city whether that be for Las Vegas’ finest hotels, restaurants by some of the best renowned chefs, tickets to our world class shows, or clubs that are modeled after around the globe. Know that with MW Travel Vegas, we take care of all your business and pleasure needs. Trust the company that places customer service, reliability, and your satisfaction at the forefront of their business model. Convention goers are comprised of many individuals and MW Travel Vegas knows first hand the needs and requirements that are not only asked for but expected upon a company that thrives in a city who prides itself in the service industry. We provide luxurious comfort, on-time reliability, and safety that only experienced drivers can give you. If you visited Las Vegas before there is little doubt as to your transportation complexities that you have experienced in the past. Allow MW Travel Vegas to show you the way transportation should be done, let us take care of you the only way you should be taken care of.